The author would like to thank space historian Junior Miranda for identifying photos of Kosmos-47 landing, which were attributed to Gagarin's Vostok for decades. 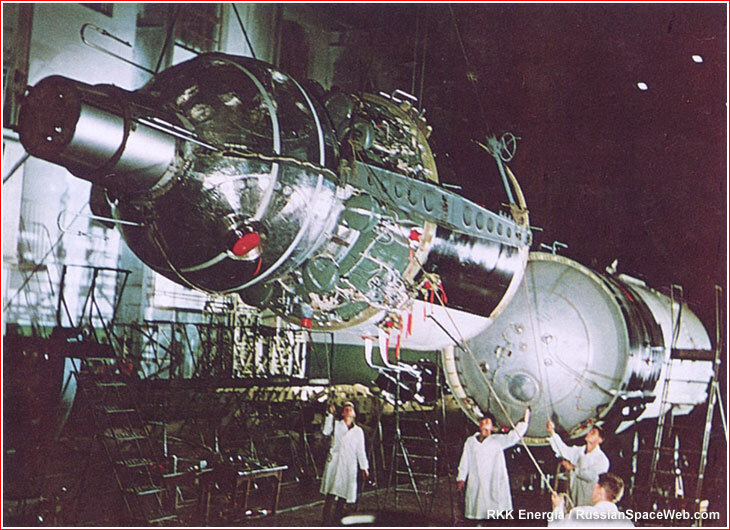 The first important milestone validating the three-seat Voskhod for flight was achieved on July 9, 1964, with the landing of the unmanned Kosmos-34 satellite. 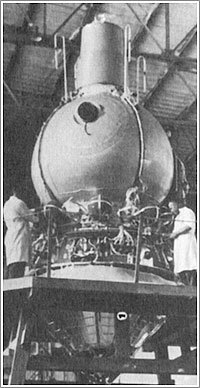 Behind the generic Kosmos name was hiding a Zenit-4 spy satellite, which incorporated the new rocket-powered landing system developed for Voskhod. However during the touchdown, the unmanned capsule had rolled for around 300 meters along the 30-degree slope in the midst of Ural mountains before its "landing" rockets finally fired. Terrified engineers were now thinking whether it would be a good idea to equip the crew with motorcycle helmets! Still, on August 14, after a series of nine ground tests, three of which reduced the touchdown speed to 7.5 meters per second and six to 1.5 meters per second, Korolev declared "lessons learned," clearing the system for three final tests. (231). However, the latest schedule quickly ended up under pressure due to delay with the delivery of the first 11A57 rocket, which had to be qualified for the mission. (231) Besides, the unmanned flight of Voskhod was to be preceded by a drop test of the ship's descent module, apparently planned on the insistence of the Air Force and despite objections from Korolev, who saw them as a hassle and a waste of time. 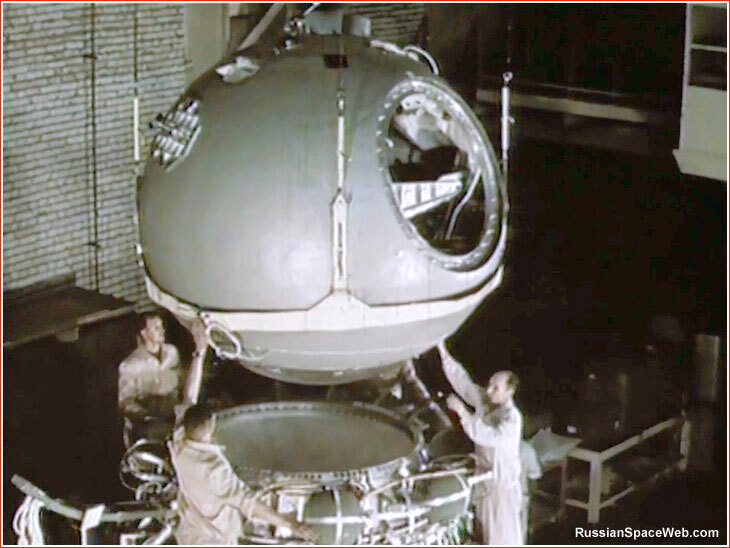 The drop test capsule was apparently fashioned from the descent module of the Vostok-2 spacecraft. On or around Sept. 30: Manned Voskhod launch. On October 4, seven cosmonauts who were training for the Voskhod mission also arrived to Tyuratam to watch the unmanned test launch of the Voskhod spacecraft. On the same day, the launch vehicle with the spacecraft was rolled out to the launch pad at Site 1. 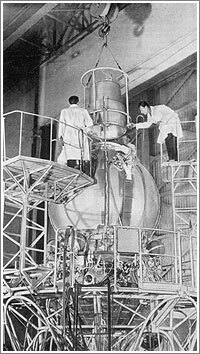 The full dress-rehearsal of the Voskhod mission started with a launch on Oct. 6, 1964, at 10:00 Moscow Decree Time, as Korolev and Voskhod cosmonauts watched. The flight plan originally called for carrying animals onboard, but, the idea was eventually limited by ground experiments. (84) Instead, the unmanned Voskhod launched just life-size dummies. The launch vehicle successfully placed the spacecraft into a 177 by 413-kilometer orbit with an inclination of 64.77 degrees toward the Equator. 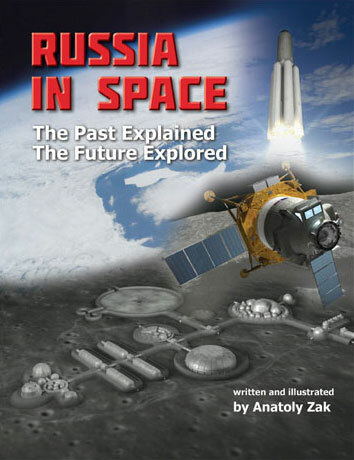 (2) After reaching the orbit, the spacecraft was publicly announced as Kosmos-47, obviously, without any clues about its significance for the manned space program. 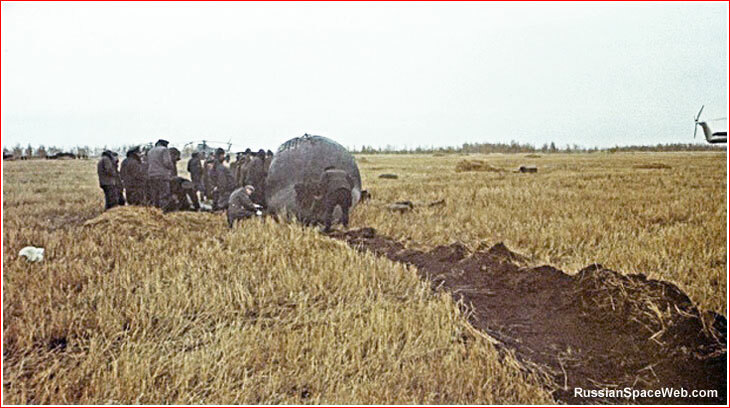 After a one-day, 17-orbit flight, Kosmos-47 landed on October 7, 1964, near the town of Kustanai in Kazakhstan. After the touchdown, the reentry capsule was dragged as far as 160 meters by the wind reaching 17 meters per second. However, on manned vehicle, the pilot had a mechanism to release the parachute after touchdown. (231) The road to Voskhod was now open. 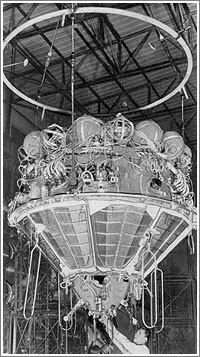 Service module of the Voskhod spacecraft. 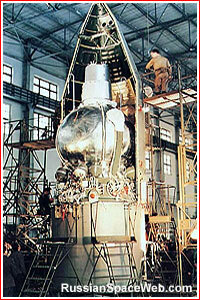 A pre-launch assembly of Voskhod spacecraft.